We decided to do a family costume, per my 5 year old daughters request. 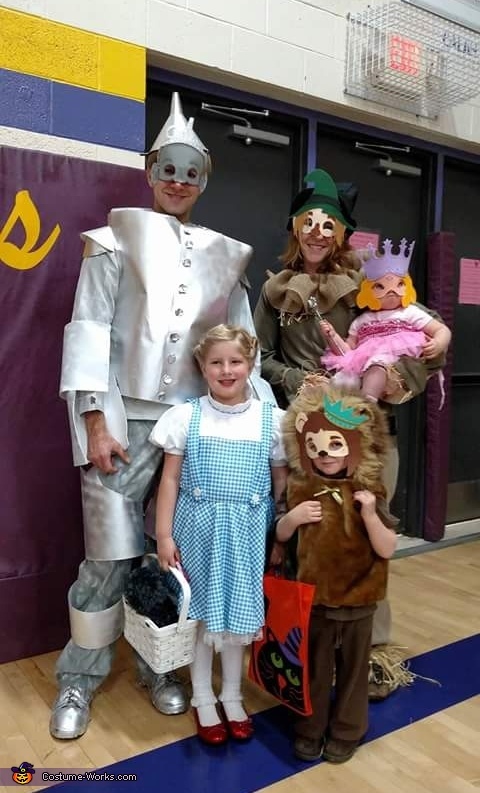 Dad as the tin man, mom as the scarecrow, Claire age 5 Dorothy, Mel age 3 and the cowardly lion, and Cora age 1 Glinda the good witch. On a tight budget we did it for $35... spray paint, tagboard and duct tape worked great! We had fun and it was fun to see peoples reactions when they would see Dorothy and then the next and putting us all together was pretty neat.